Conservationists working in Chile's Atacama Desert want UNESCO to recognize the Taira Valley drawings as a heritage site so they can develop sustainable tourism in the region. 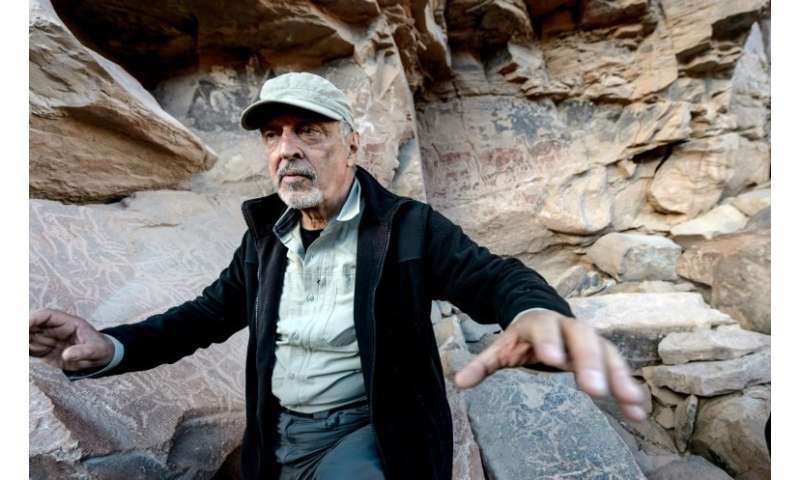 Taira is "a celebration of life," said archeologist Jose Bereguer, describing the site as "the most complex in South America" because of its astronomical importance as well as the significance to local shepherds. The rock art was a "shepherd's rite" needed to ask the "deities that governed the skies and the earth" to increase their llama flocks. Not just the principal source of wealth for desert dwellers over thousands of years, the llama has been used in ritual ceremonies throughout the Andes for just as long, such as in the "Wilancha," or sacrifice to "Pacha Mama," or Mother Earth. "No one can understand the things done 18,000 years ago because the cultures that did them have disappeared," said Berenguer, curator at Santiago's Museum of Pre-Columbian Art. "Here, it's possible to delve into the meaning because we have ethnography and because there are still people living in practically the same way as in the past." According to Rumualda Galleguillos, one of around 15 indigenous people still raising llamas in the Atacama Desert like their ancestors, these pictures are a "testament" to forefathers who could neither read nor write. But the remaining 10 percent depict the desert's diversity, such as foxes, snakes, ostriches, partridges and dogs. The few human figures that appear are tiny, as if those painting them "wanted to go unnoticed in front of the greatness of animals that were so important to their economy," said Berenguer. 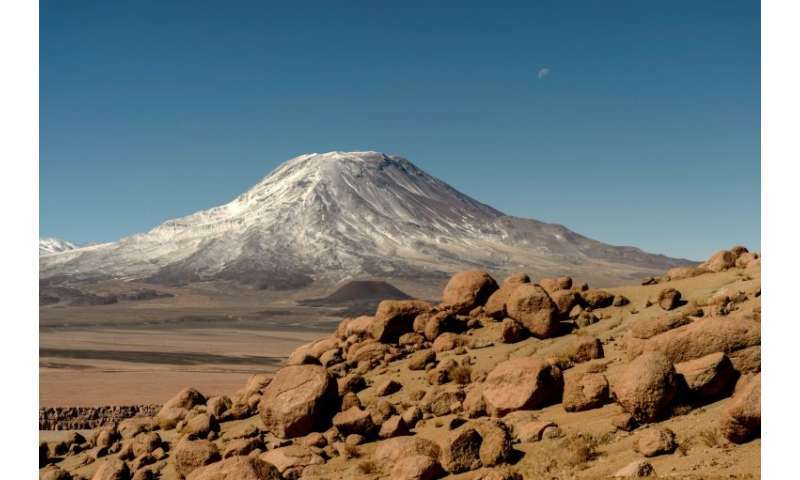 A book written in conjunction with the Atacama observatory called "The Universe of our Grandparents," claims that the ancient inhabitants of this area studied the stars to help learn how to domesticate the inhospitable desert and survive its dangers. Unlike the Greeks, though, ancient Atacama astrologists didn't see Orion, Gemini or Cancer. Taira is located on an axis that aligns the sacred Sirawe "sandy eye" quicksand from where locals would pray for rain, the San Pedro volcano, the Colorado hill, and the Cuestecilla pampas, another sacred spot. "There's evidence that this site was built here for specific reasons," said Berenguer. 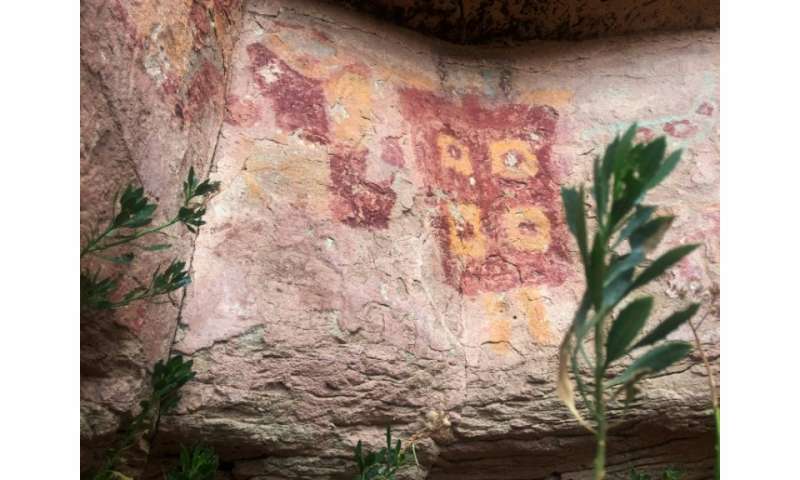 This style of art has been found also in the Puna de Atacama plateau in neighboring Argentina, but Taira "has few equals in terms of beauty and complexity," said Berenguer. 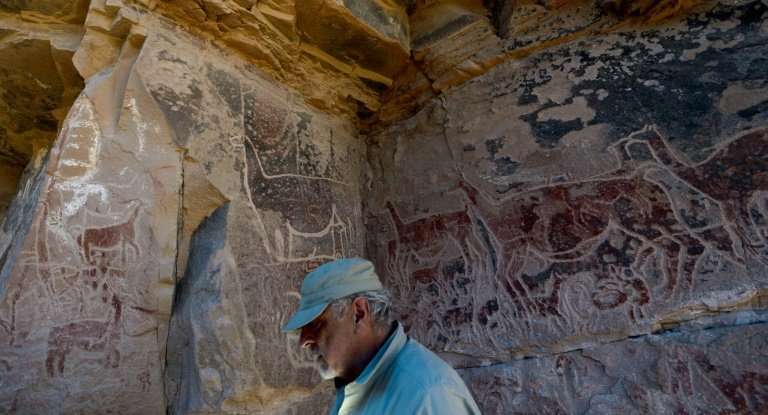 One day, he hopes that Taira will be afforded UNESCO World Heritage Site status like the rock art in the Cave of Altamira in Spain or France's Lascaux caves.